Props to fellow card blogger Night Owl for an early look at 2012 Topps. His post captures their quantitative leap in player photos, a few of which I borrowed for commentary. 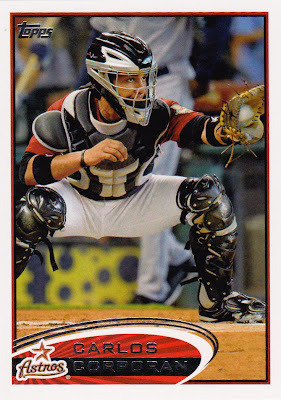 I don't blame collectors who specialize in "cool catcher gear" cards. The so-called tools of ignorance offer some of the coolest evidence of our sports' evolution, as with today's hockey-style protective masks. 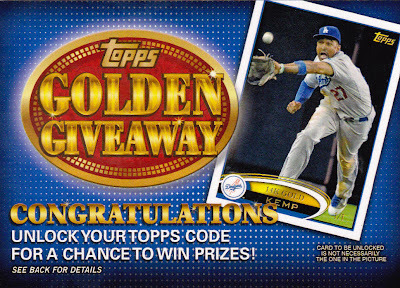 This Matt Kemp promo is sort of a number five, as it's cataloged GGC-5. 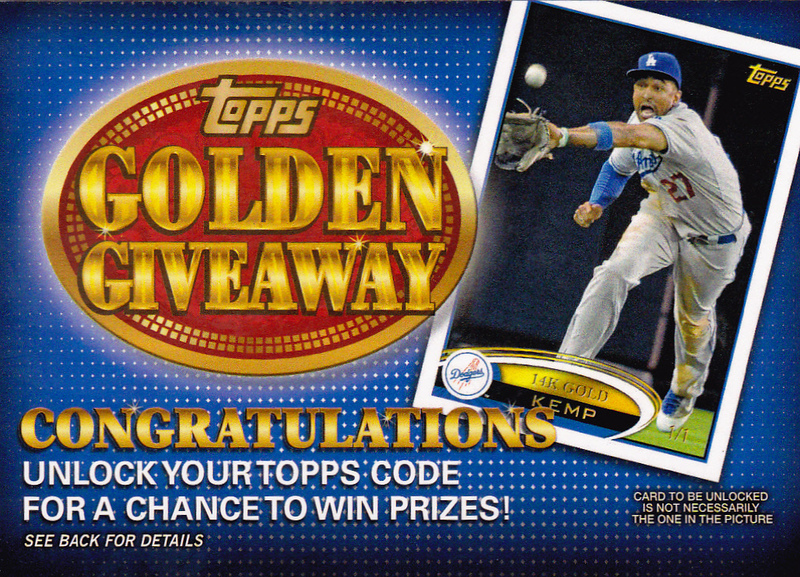 Topps upped the stakes in this year's online unlockable "contest" by manufacturing some (real) gold cards. Everyone loves the precious metals! SEE YA. BOOM. Better call the Na-police and put out an APB on that baseball. 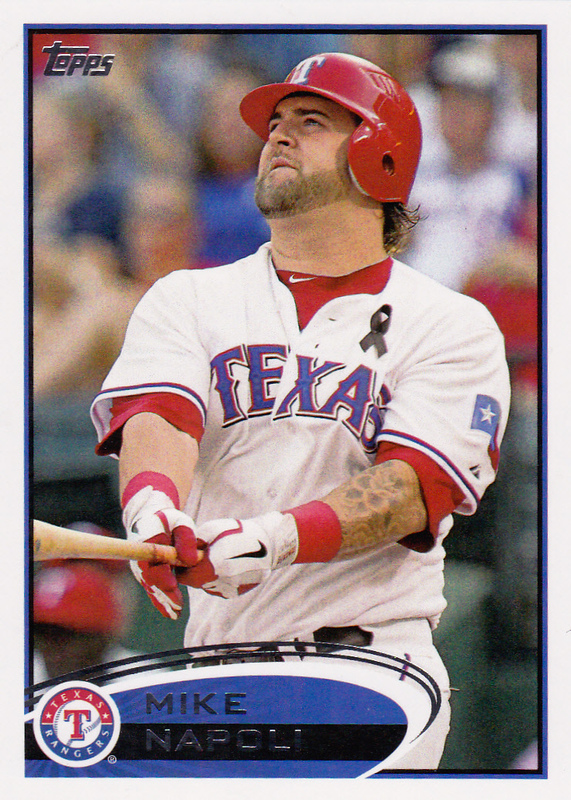 Color me impressed by this year's first look at Topps handiwork. Will it keep everyone coming to the candy store and (more importantly) attract new customers into the fold? Once our new baseball season ramps up, I wouldn't be surprised.